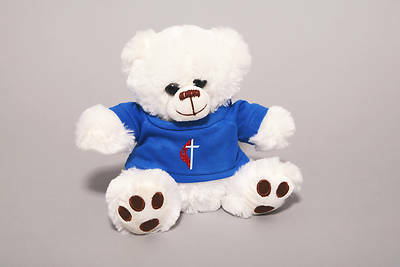 Plush white teddy bear with glitter vinyl cross & flame emblem on tiny blue tee. Super soft squeezable body. 9" tall seated.